Mama Haley James Scott #27: Haley is foundation of everyone's family and friends that they always come to Haley the most! Welcome to the Haley James Scott Appreciation Thread! 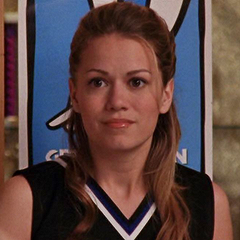 Haley James Scott, the quirky girl who stole our hearts from the very first moment. Thanks for the new thread, love the title! It's so true. You're welcome and glad that you like the title! I can't even remember why she made that face for..
Yeah, I think that was the one when she has no choice to join in cheerleader..